This is the OOC thread for the story ' The Dúnedain of the North: The Drake Hunt', a story inspired by the Mithril Knights. We are not open to new contributors at this time - thanks! Last edited by Bardhwyn on Mon Feb 25, 2013 5:41 am, edited 2 times in total. Ok, for any new followers out there, we have extracted and re-posted the passages relevant to our story from the Battle Rages/Battle Wanes thread - where this all began. For old followers, more to come so watch this space. Are you sure you couldn't use a few crows? Well, a postie is up and a note to say the character of Kaya is written by Kaya!! I like the little nod to the crows. Yes, I can' hardly wait. Pass the popcorn, Hue! I saw this, my heart jumped and now I can't wait to keep reading. I wish I was writing Lith at a level that would match up if you ever have an opening. 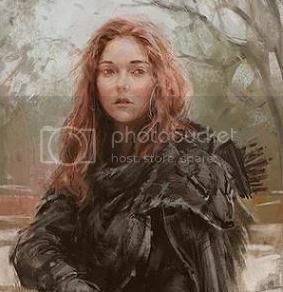 She got to play in Angmar Rising and I'm working on a younger version of her in Wynter's Rose but I am happy to just bring the buffalo wings right now. It's so helpful to know there are interested readers; thanks! AND I LOVE BUFFALO WINGS! Can't find any decent ones over here in the UK, trust me! Guess we better get on and put up the next installment! I was unaware that buffalo's had wings. Is it something like Balrog wings? Lith, so nice of you to pop in here!! I do hope you'll continue to enjoy following our adventures. Guess we better, indeed, B. There are worse things though, than getting into The Zone when it concerns Rangers and their adventures. Much, much worse. Kaya wrote: There are worse things though, than getting into The Zone when it concerns Rangers and their adventures. Much, much worse. I tried to fit ' (or Pah-tay'!)' into the OOC title but there weren't enough spaces left. Wishin' my sword was by my side. To my shame, I had to google 'buffalo wings'. Obviously the cuisine of the Americas is lost on me. Goodness Gracious Me, why would we kick YOU out, Leoba - of all people?! * hands Leoba a bowl of SWEET popcorn* Sweet because, well, you're European. I may be European, but I was introduced to popcorn as a teenager by my half-American friend - made on the stove and always with salted butter. Classic style popcorn there! That's how my dad always did it...packaged popcorn never tastes as good. Leoba wrote: I may be European, but I was introduced to popcorn as a teenager by my half-American friend - made on the stove and always with salted butter. Yet another reason why I like you; you know how to enjoy POPCORN! Guru wrote: Classic style popcorn there! That's how my dad always did it...packaged popcorn never tastes as good. Absolutely!! Though, as I'm eminently weight conscious at the mo', I've been doing my own 'microwave popcorn' using brown paper bags, popcorn and nothing else! Fantastic and lo-fat! The key is using a nifty 'staple -less stapler' that secures the bag shut. Credit where credit is due, and it goes to the lovely B and her hawt Rangers, really. Was awesome seeing this come to life with you. It was a complete collaborative effort!! And a whole lotta fun! Enjoy, readers! And stay tuned! I had to come and see what kept you two up so late last night. How delightful to see you in the Pony again Kaya. Ditto what Leoba said, Kaya! Hmm... well, this story was set aside for a wee while, but, in the last few weeks, we've been revisiting it. So, watch this space.